Made from a natural cotton rope, these Macrame wall hangings have been weaved, woven and knotted into an intricate flag shaped pattern detailing a mix of shapes and textured delight. All the macrame hangings have been sturdily constructed and can be wall hung from the rope that is wrapped around a natural bamboo dowel. Use this decorative wall hanging to add a handmade touch to your home, office or cabin. Product details: >Cotton rope on wooden dowel. >Width of the dowel is approximately 16.0 inches. >Length of the wall hanger is approximately 23.0 inches. *All items are handmade, there may be slight variations in size and colour in relation to the item in the images. 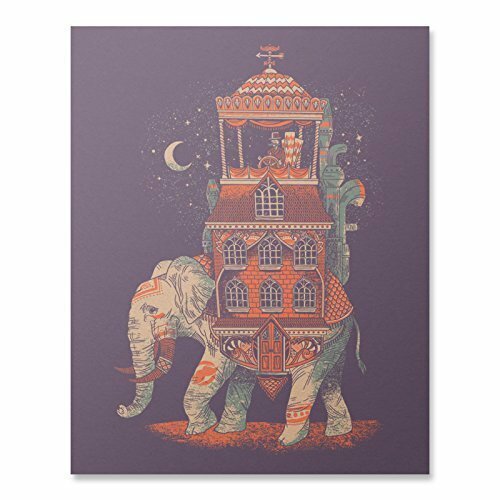 With the house packed up and ready to go, the old man began his journey under the moon lit glow... White, Orange and Light Blue digital print on 80# coated paper. Available in 8 x 10 dimensions. Prints are packed flat for shipment in a rigid mailer. Made in USA. "This is a creative work by TimeYard." >>> About TimeYard: TimeYard is a brand committed to Handmade Woven for bringing fresh and lifeful atmosphere to your home. Besides the ingenuity of the designer and the niceness for materials, keeping improving for the handicraft of Handmade Woven attracts people mostly. 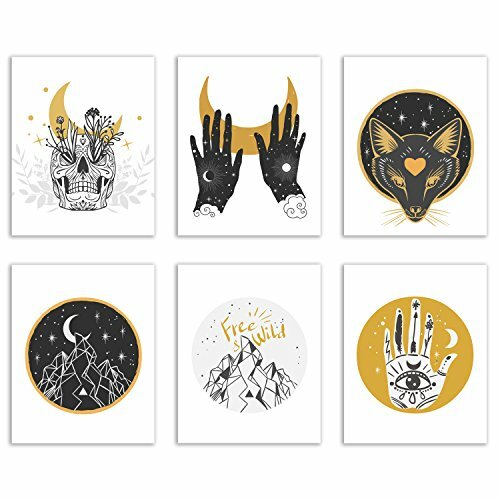 All designs are handmade with love and will bring a unique element into any space. Macrame banner handmade with soft cotton rope with decorative wooden balls. It will bring warmth and texture to that mantle, above the bed, above a dresser, above a sofa, or creatively placed across the frames on a gallery wall. Natural look will add some boho charm to your space. It would be also perfect as a minimalistic decoration for nursery or kids room. Product details: >made with 100 % natural cotton rope, spot clean, wooden beads. >Simple:5.0 inches x 15.0 inches. It measures approx. 35.0 inches from the first to the last flag. 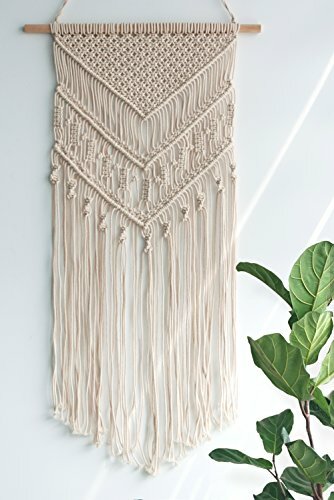 >Package include: 1 x Macrame Woven Wall Hanging Banner . *All items are handmade, there may be slight variations in size and colour in relation to the item in the images. 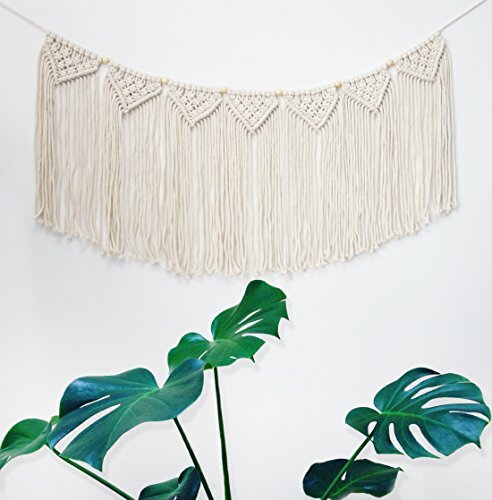 Made with 4mm natural cotton cord, these bohemian inspired macrame wall hangings have been weaved, woven and knotted into an intricate pattern detailing a mix of shapes and textured delight. The bottom of the piece has been finished off with a fringed edge. All the macrame hangings have been sturdily constructed and can be wall hung from the rope that is wrapped around a natural timber dowel. 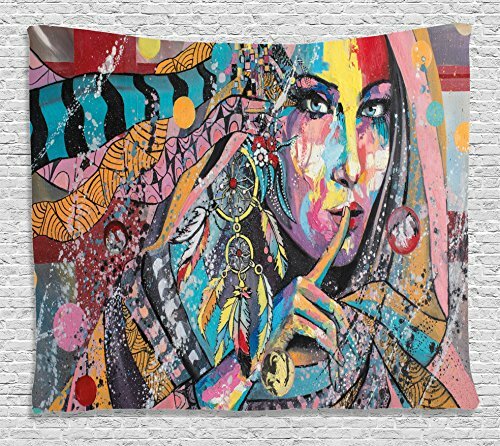 Use this decorative wall hanging to add the perfect boho vibe to any gallery wall, bedroom, nursery, or living room. Product details: >Cotton rope on solid wooden dowel. >Length of the drift wood is approximately 16.0 inches. >Macrame is approximately 12.0" width X 25.0" length.>Length of the wall hanging rope is approximately 22.0 inches. *All items are handmade, there may be slight variations in size and colour in relation to the item in the images. Materials: cotton cord, wood dowel. Size is approximately:Macrame 49" Length, Wooden dowel 8" Length. Ideal for planters up to 9" in diameter. Perfect for the balcony gardens, greening projects, household decoration, office, family gardening, malls, garden nursery production. Also suitable for various occasions. This marcame plant hanger is restoring ancient ways design. Elegant style, Artificial craft production. 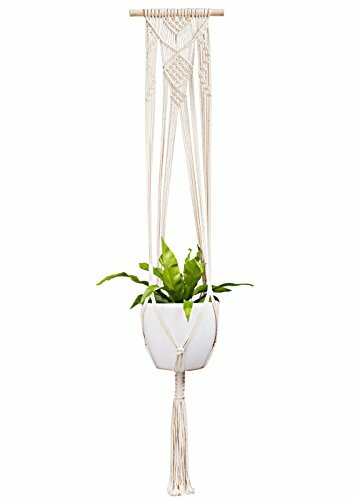 This macrame plant hanger is made of high quality cotton cord, strong and durable. It is hand knotted to ensure its superior durability and hold securely even your largest plants! Not easy to deformation, corrosion resistance. Fits for indoor and outdoor use and also can match with flowerpot to decorate hotel or parties. Give you a fashionable household life and a different rural life. 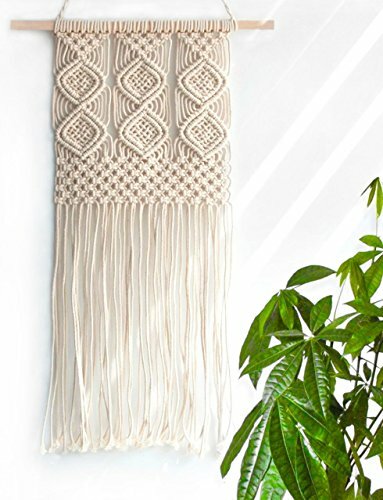 With this macrame wall hanging planter you'll instantly add a bohemian vibe to your room an it will really warm up a space. MotivatedWallArt offers prints on a variety of themes, which gives a modern look to your home. 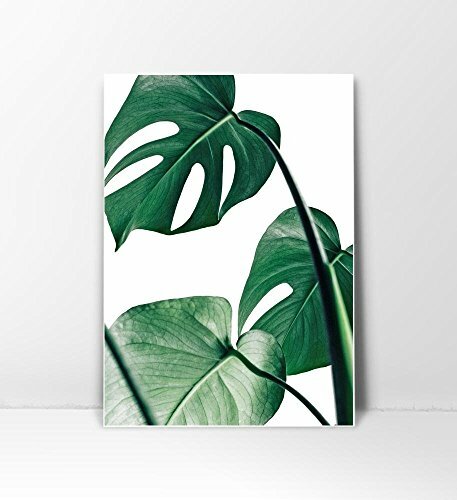 This image is printed on 300 GSM quality photo paper with a matte/semi glossy finish. The size is 8 x 10 inch and printed to the edge. Please note that frame is not included. 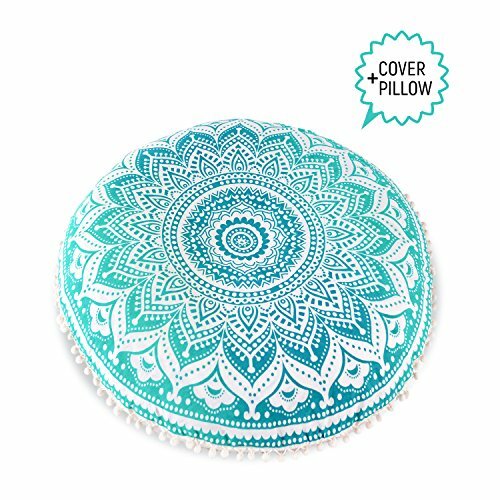 These large bohemian floor cushions are a must have for your home, made from 100% organic cotton, vegetable dyes, they measure 30" in diameter, heavy duty zip, block printed by hand & will brighten up any room. Please note, this is a cushion cover only, you will need to fill it up yourself, by using hobby fill or bean bag fill, pillow fill. NOTE: Due to hand block/screen printing process, there is likely be imperfections with print, such as slight running of dye, teeny paint spots, slight print imperfections etc. We have uncompromising gone through each one and one of them. We only selling the highest quality though keeping in mind that slight 'flaws' are part of their uniqueness. Also please take into account that that there might be a little color variance from the pictures and in person. 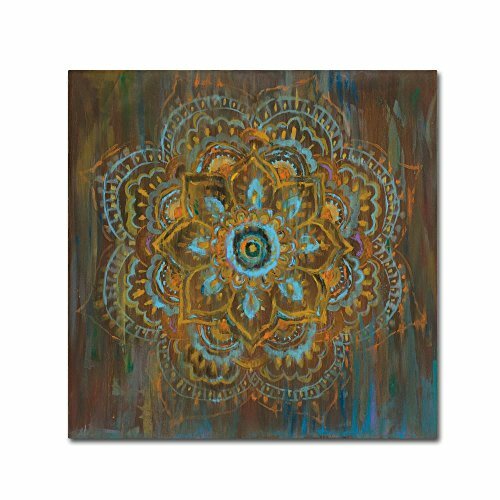 This ready to hang, gallery-wrapped art piece features a floral Mandala in shades of teal and orange on an abstract blue, green, and brown background. Danhui Nai was born in mainland China and raised in an artistic household with her sculptor father and painter mother. Her natural passion for art was guided through classical training which she applies in her California studio to create beautiful, on-trend artwork in a variety of media. She studied interior design later in Paris and new York city. She worked in the textile industry in Manhattan, where she continued her studies and artistic development. Giclee (jee-clay) is an advanced printmaking process for creating high quality fine art reproductions. The attainable excellence that giclee printmaking affords makes the reproduction virtually indistinguishable from the original piece. The result is wide acceptance of giclee by galleries, museums, and private collectors. Gallery wrap is a method of stretching an artist's canvas so that the canvas wraps around the sides and is secured a hidden, wooden frame. This method of stretching and preparing a canvas allows for a frameless presentation of the finished painting. This is a pack of six unframed 8x10 prints on glossy photo paper.